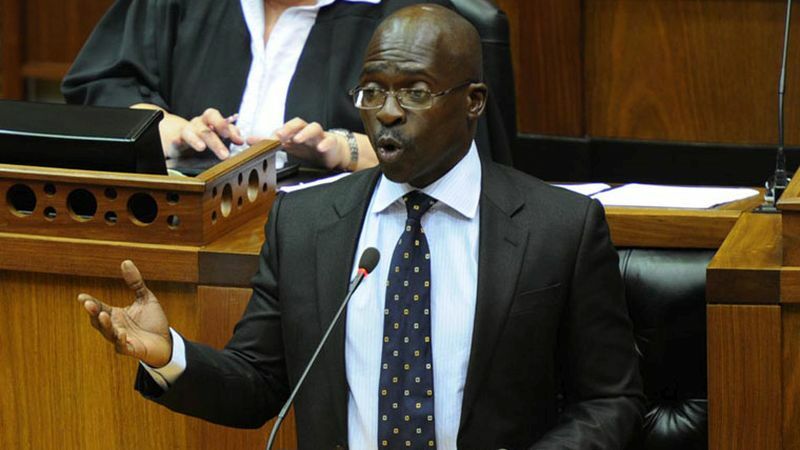 Malusi Gigaba has resigned as a member of South Africa’s cabinet. The news broke on Tuesday evening by the South African Government’s official Twitter account. Calling the former Minister of Home Affairs embattled would be a bit of an understatement. Gigaba was appointed deputy Minister of Home Affairs in 2004, and was recently, for a brief period, Minister of Finance. We also known him well for playing Candy Crush during President Cyril Ramaphosa’s SONA address earlier this year. More recently, and seriously, Gigaba has been implicated in state capture. And more recently still, an infamous video featuring the minister with his pants down trended on social media. His spokesperson accused a political adversary as the source of the leak. His pinky finger has too become something of an icon in South Africa. As for his resignation, the Presidency suggests that Gigaba “was stepping aside for the sake of our country and the movement to which he belongs”. It seems that Gigaba has also resigned from Twitter. Soon after the announcement on Tuesday, his official Twitter account was deleted. Minister of Transport Blade Nzimande is now the acting Minister of Home Affairs. A permanent appointment will be made at a later date, the Presidency concluded.